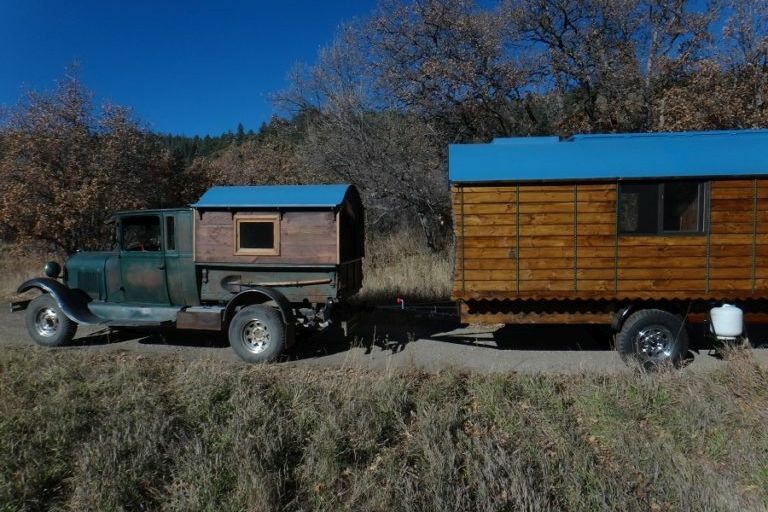 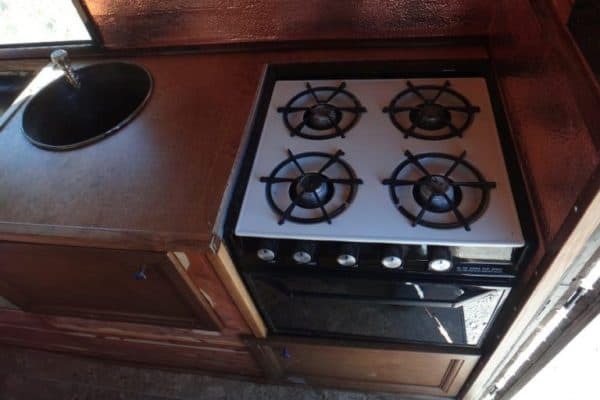 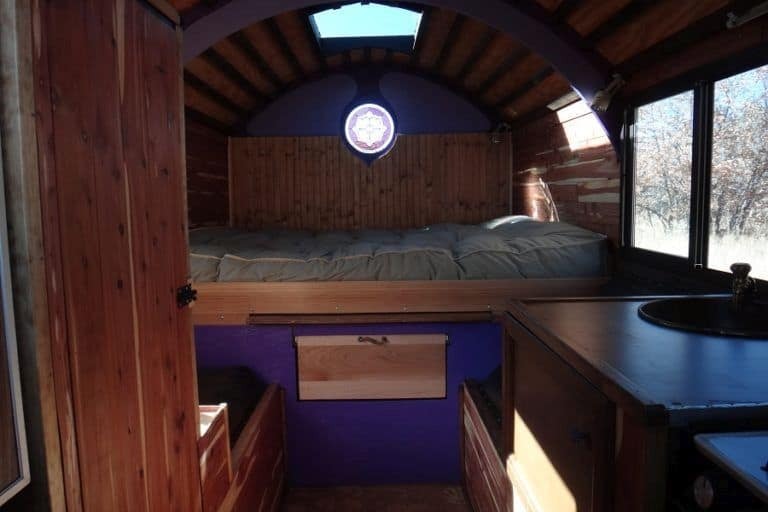 The nicest little vardo we’ve seen for quite a while is now for sale at $16,000. (1929 Ford Model A king cab 4×4 not included, but if you want both an extra $20K will get you there.) 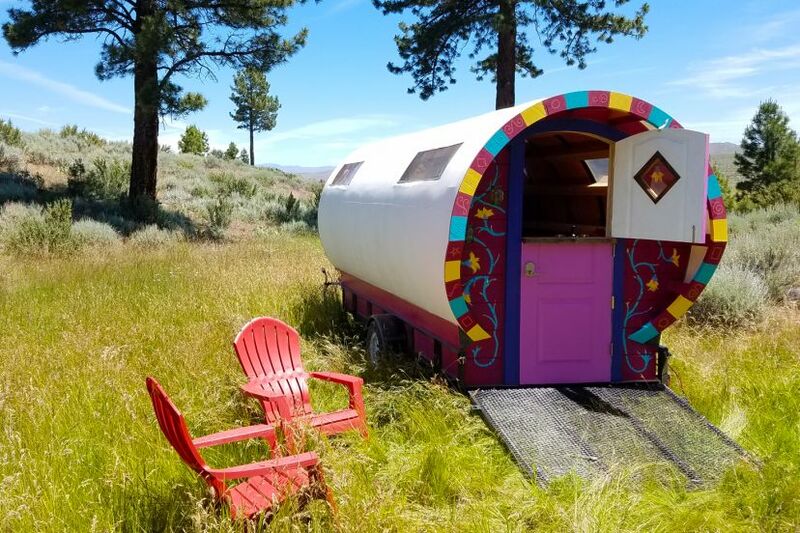 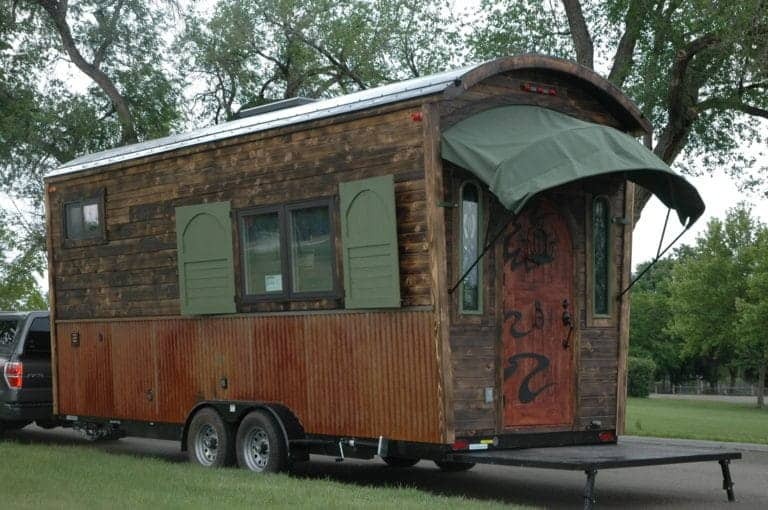 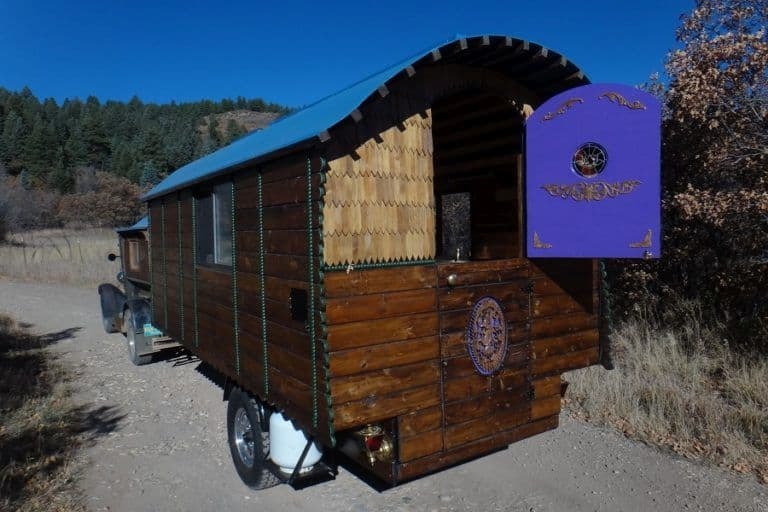 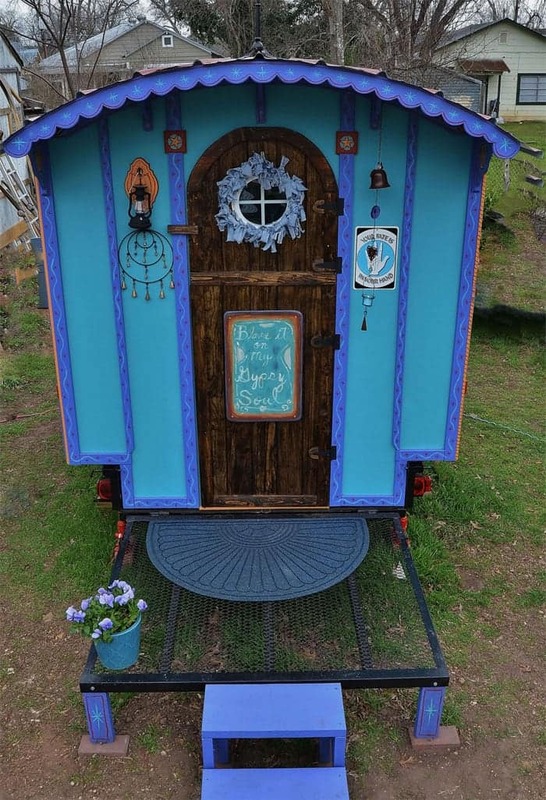 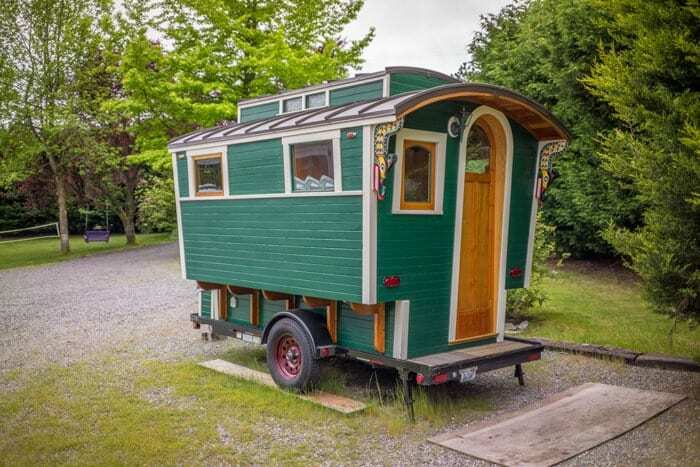 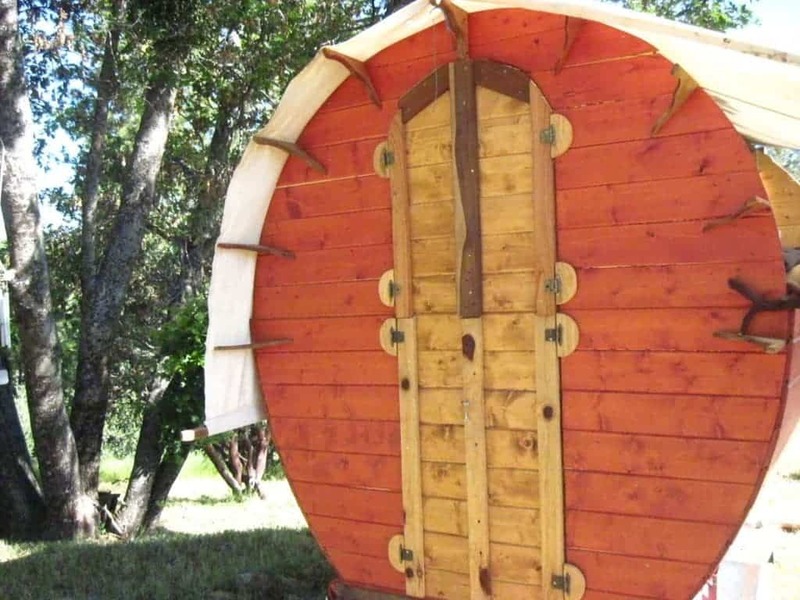 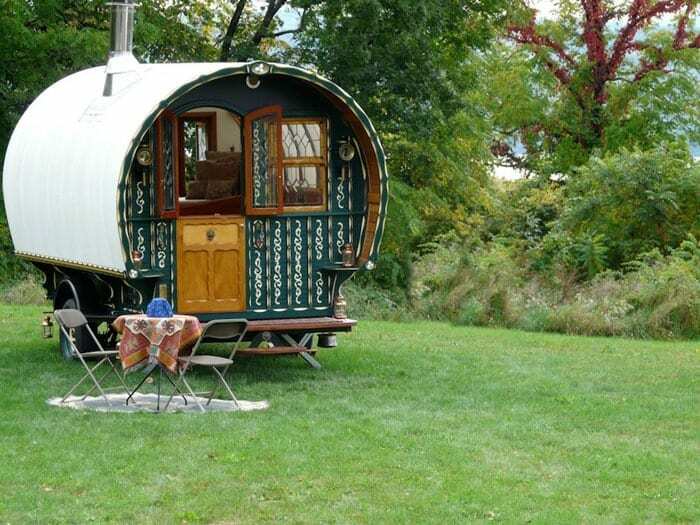 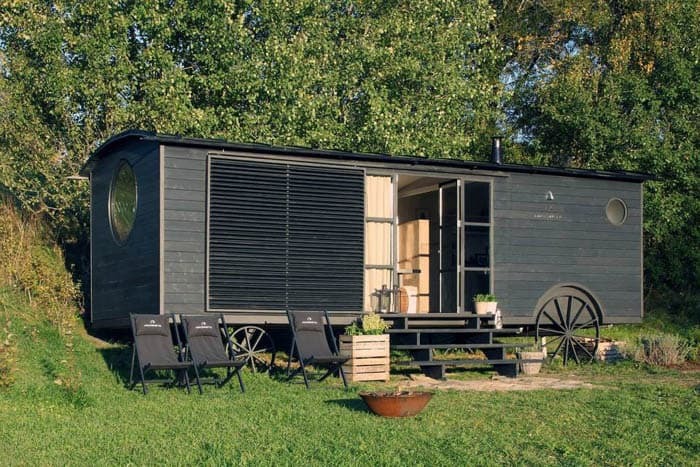 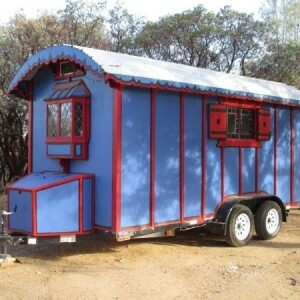 It’s a 12-foot, 2,000-pound miniature hand-built by a man who’s been making – and living in – gypsy wagons for 20 years, and it comes loaded with extras like a propane powered refrigerator/freezer and oven with four-burner stove, as well as two solar panels and a deep cycle battery. 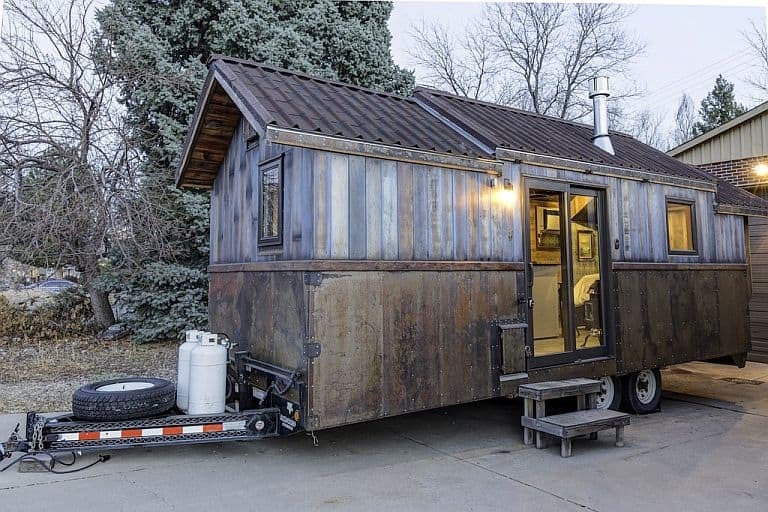 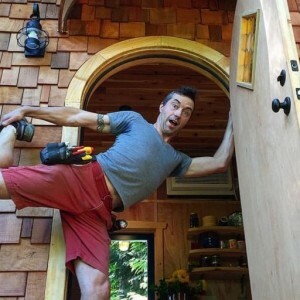 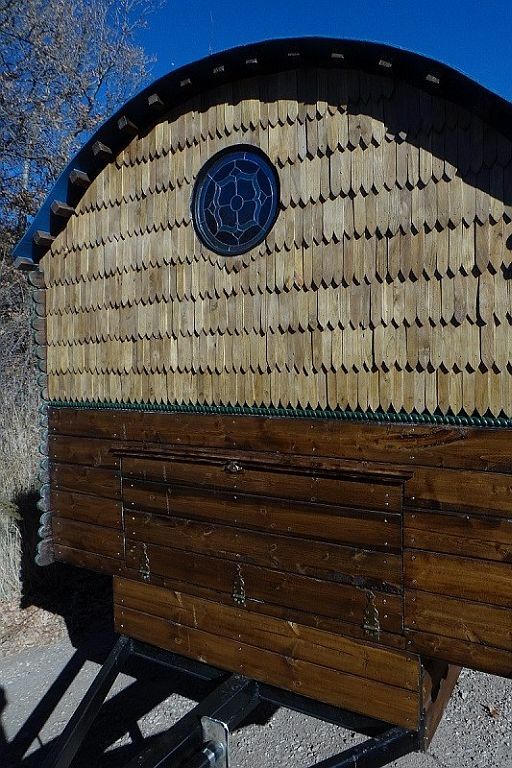 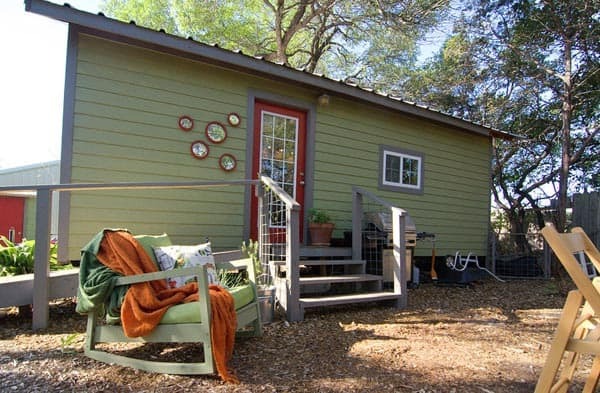 It has a double-walled body with pine and cedar shingles outside, cedar inside, and plenty of insulation between them. 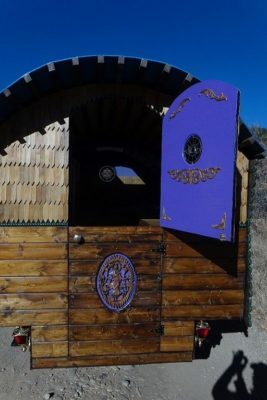 Interior fittings include an antique brass sink, leather seats, oak counters and table, stained glass windows, and cork flooring. 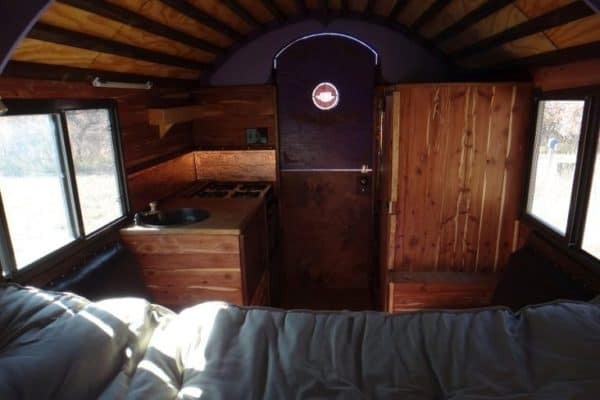 There’s no bathroom; the structure opposite the kitchenette is in fact a closet, and there’s more storage under the double bed at the back. 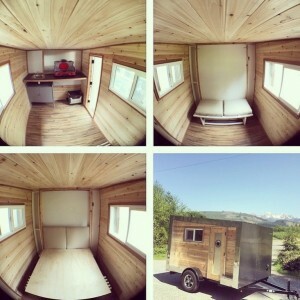 For inquiries, email Sunny Baba at sunnybabaspirit@yahoo.com.